Is It Food Allergies or Intolerance? Approximately 8 percent of children and 2 percent of adults suffer from true food allergies. When the culprit food is eaten, most allergic reactions will occur within minutes. When severe, this reaction is called anaphylaxis, which can be life threatening. Most reactions to food are probably not allergic in nature, but rather intolerance. This means that there is no allergic antibody present against the food in the person. A less common form of non-allergic reactions to food involves the immune system, but there are no allergic antibodies present. This group includes celiac sprue and FPIES (food protein-induced enteropathy syndromes). FPIES typically occurs in infants and young children, with gastrointestinal symptoms (vomiting, diarrhea, bloody stools, and weight loss) as the presenting signs. Milk, soy and cereal grains are the most common triggers in FPIES. Children typically outgrow FPIES by 2 to 3 years of age. Milk, soy, wheat, egg, peanut, tree nuts, fish, and shellfish compromise more than 90 percent of food allergies in children. Allergy to milk and egg are by far the most common and are usually outgrown by age 5 years. Peanut, tree nut, fish and shellfish allergies are typically the more severe and potentially life-threatening, and frequently persist into adulthood. Cross-reactivity refers to a person having allergies to similar foods within a food group. For example, all shellfish are closely related; if a person is allergic to one shellfish, there is a strong chance that person is allergic to other shellfish. The same holds true for tree-nuts, such as almonds, cashews, and walnuts. Cross-contamination refers to a food contaminating another, unrelated food leading to a "hidden allergy". For example, peanuts and tree nuts are not related foods. Peanuts are legumes and are related to the bean family, while tree nuts are true nuts. There is no cross-reactivity between the two, but both can be found in candy shops and in a can of mixed nuts, for instance. The diagnosis is made with an appropriate history of a reaction to a specific food, along with a positive test for the allergic antibody against that food. Testing for the allergic antibody is typically accomplished with skin testing, although can be done with a blood test as well. The blood test, called a RAST test, is not quite as good of a test as skin testing, but can be helpful in predicting if a person has outgrown a food allergy. This is especially true since in many cases the skin test can still be positive in children who have actually outgrown the food allergy. If the diagnosis of food allergy is in question despite testing, an allergist may decide to perform an oral food challenge for the patient. This involves having the person eat increasing amounts of food over many hours under medical supervision. Since the potential for life-threatening anaphylaxis exists, this procedure should only be performed by a physician experienced in the diagnosis and treatment of allergic diseases. An oral food challenge is the only way to truly remove a diagnosis of food allergy in a patient. Treat the reaction: If a reaction to the food is present, the person should seek immediate emergency medical care. Most patients with food allergies should carry a self-injectable form of epinephrine, or adrenaline (such as an Epi-pen®, with them at all times. These medications can be prescribed by a physician and the patient should know how to use this device before an allergic reaction occurs. Avoid the food: This is the main way to prevent future reactions to the culprit foods, although can be difficult in cases of common foods such as milk, egg, soy, wheat and peanut. 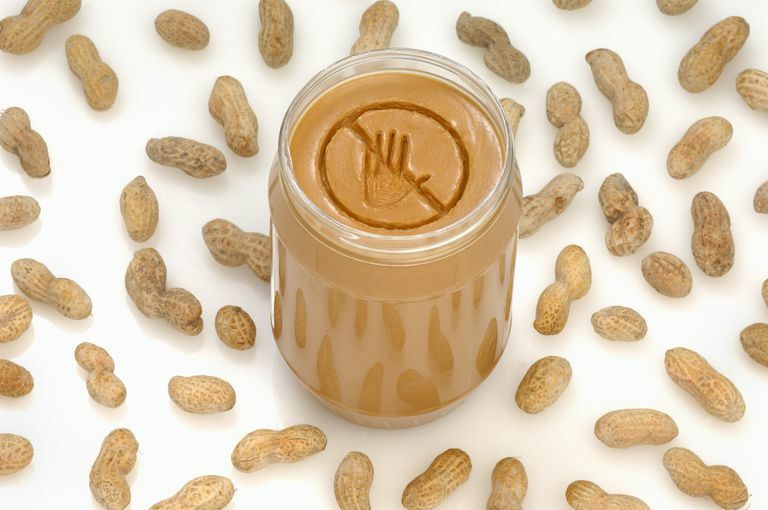 Learn how to avoid the most common food allergens. Organizations such as the Food Allergy and Anaphylaxis Network offer help and support to patients and parents of children with food allergies. Allergy physicians can also offer additional information and advice on avoidance. Read food labels: Since accidental exposure to the allergic food is common, reading labels on foods and asking questions about ingredients at restaurants is important and recommended. Be prepared: Patients with food allergies should always be prepared to recognize and treat their reaction, should one occur. Remember, since exposures to the allergic foods are frequently accidental, being prepared to treat the reaction with epinephrine is paramount. Emergency medical care should always be sought if an allergic reaction to food occurs, whether or not epinephrine is used. Communicate with others: Communication with family members, friends, and school staff about the patient’s medical condition and knowledge of how to administer epinephrine is also important. It is also recommended that the patient wear a medical alert bracelet (such as a Medic-Alert® bracelet) detailing their food allergies and use of injectable epinephrine, in the case the patient is unable to communicate during a reaction. The American Academy of Allergy, Asthma and Immunology, and Food Allergy Practice Parameters. Ann Allergy Asthma Immunol. 2006; 96:S1-68.